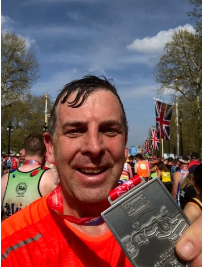 Having had a few days to try and walk again and to reflect on last Sunday, I wanted to write to you and thank you once again for the very generous donation that you so kindly made to my chosen charity for the London Marathon 2018. I would also like to thank every one of your customers that also contributed by purchasing orchids over the past year, believe me just knowing I had this support helped me through those lonely, dark and cold winter training runs, perfect practice for the hottest London Marathon in history… hmmm. I am sure that the many people who bought these plants if they knew my mum and dad well (Roger and Thelma Castle) that they would have so appreciated the fact that plants helped me to run for charity, they were super keen gardeners. They also loved sport and were always there to help people, so for me this was a complete circle and I know they would have been proud and supporting me every step. The Marathon itself was truly amazing although having trained in temperatures of minus 12, suddenly having to run in a plus 24 heatwave was a shock to the system I can tell you, with Miles 17-21 through Canary Wharf being particularly hot and painful, it was carnage with runners dropping all around me, I therefore took the decision to slow down which saved me in the final miles and I staggered over the finish in 4 hours 55 minutes, slower than I hoped and trained for but a wise choice given the conditions. The crowds were truly overwhelming at times with the last 3 miles down the embankment surreal and quite emotional; mind you this might have something to do with the end in sight and a cold beer or two waiting, I promise you beer has never tasted so good or been so welcome!! Once again my eternal thanks to you and your generous friends and customers, who helped me achieve most of my goals. 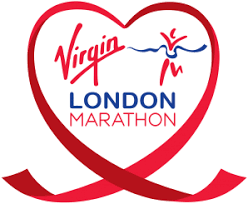 Together we raised close to four thousand pounds which smashed my target, I would have liked to have run sub 4.15 so there is nothing else for it, I will have to keep training and try and secure a place next year and pray the weather is kinder!